As the first act of its new international loan initiative seeking to share objects and collaborate on conservation projects, exhibitions and educational programs with foreign museums, the Dallas Museum of Art willingly returned an ancient marble mosaic to Turkey. In a quest to deal with objects that could have provenance problems, the museum determined that the mosaic belonged to a Turkish archaeological site. In fact, the ancient work is presumed to have once been the floor pavement of a Roman building near Edessa, known today as the area surrounding the city of Sanliurfa in southeastern Turkey. The work, which dates from A.D. 194 and shows Orpheus taming animals with his lyre, was bought at auction at Christie’s in 1999 for $85,000. 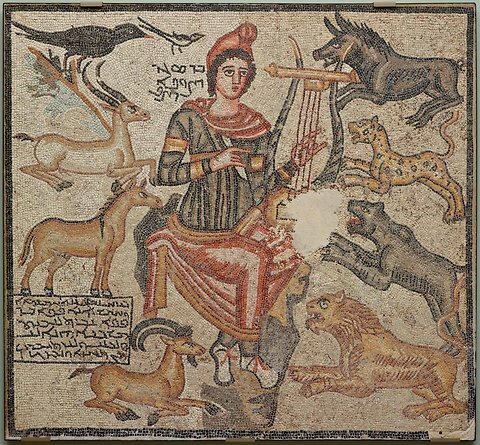 Turkish officials, who had been searching for the Orpheus mosaic for some time, praised the museum’s initiative, considered as the first step towards an active loan arrangement between Turkey and the Dallas museum.